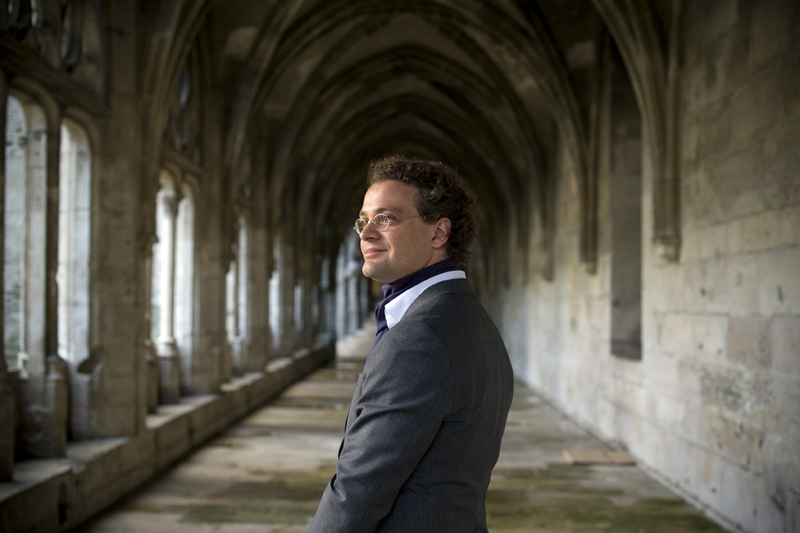 Jean-Baptiste Monnot is currently the titular organist of the Cavaillé-Coll organ at St. Ouen Church in Rouen. Born in 1984 in France, he began studying piano and organ at age 12 and started the École Nationale de Musique of Dieppe at age 13, then he started the Conservatoire National de Région of Rouen at age 15. In 2002, at age 18, he won the 1st prize awarded unanimously by the jury of the 4th edition of Young Organist Competition presided over Marie-Claire Alain and he received his Bachelor in Music degree (Diplôme d’études musicales régionales). In 2003 he was awarded the 1st Prize of perfection in organ. He gained entrance to the Conservatoire National Supérieur de Musique de Paris in 2004, at age 20, and was awarded the 1st Prize of excellence in organ. In May 2007 he received his Master’s Degree (Diplôme de Formation Supérieure) in organ with first class honours, in the class of Olivier Latry and Michel Bouvard before he improved his skills from Bernhard Haas in the Stuttgart Hochschule für Musik. He participated several times between 2003 and 2005 in master classes given by Jean Guillou at the Zürich Tonhalle and at St. Eutasche Church (Paris) in 2007. From 2004 to 2014 he was Jean Guillou‘s assisstant at St. Eutasche Church. As a soloist, he performs regularly with ensembles or orchestras all over the world. He also performed during festivals such as La Chaise-Dieu (France), Rouen (St. Ouen Church), Annecy, Paris, Berlin, Naumbourg (Germany), Piacenza (Italy), Rome, New-Orleans, Ostrava (Czech Republic), Vienna (Austria), Sydney, London, etc. In 2010 he managed the creation of the incidental music for Macbeth by Jean Guillou in the framework of a Japanese tour (Kyoto concert Hall, Nagoya concert Hall) under the supervision of Masaru Sekine. Soon after, he was appointed as artiste-in-residence in St. Louis Cathedral, New Orleans. In 2011 he gave a concert as a soloist with the Louisiana Philharmonic Orchestra and in 2014, he gave a concert at the Österreichischer Rundfunk of Vienna (Austria), broadcast live.